Olympic gold medalists Scott Hamilton and Sarah Hughes will join 12 U.S., World and Olympic figure skaters at the Bowling Green State University (BGSU) Ice Arena on May 3 as guest emcees in this year’s Skate for Hope Awareness and Research Fundraising Show. The show will also include local skaters of all ages who raise funds for cancer research to earn their spots in the cast. Skate for Hope is a not-for-profit charitable organization dedicated to the goal of eradicating breast cancer. To date, Skate for Hope has raised more than $500,000 for breast cancer research. Tickets for the star-studded show start at just $11 and are on sale through ticketmaster.com, all Ticketmaster locations, and at the Stroh Center Box Office. Proceeds from the event will benefit The Scott Hamilton CARES Initiative, a partnership between Hamilton, who is a cancer survivor, and the Cleveland Clinic Taussig Cancer Institute where he was treated. CARES was created to promote cancer awareness and has raised millions of dollars for cancer research since its inception in 1999. One of the most recognizable names in international figure skating, Scott Hamilton learned to skate at the BGSU Ice Arena. He returns to his hometown after serving as NBC’s lead figure skating analyst for the 2014 Olympic Winter Games in Sochi, Russia. Skate for Hope utilizes figure skating, a sport that epitomizes women’s strength, to bring attention, resources, education and awareness to fight against breast cancer. Each year, Skate for Hope presents a spectacular production that celebrates the strength, courage and journey of all cancer survivors. Please visit www.skateforhope.org for complete information. An all-star cast of athletes is scheduled to perform at “An Evening on Ice,” including 16 U.S. champions, six Olympians and five World and World Junior champions. Two performances are set for Saturday, July 20, at 2 and 7 p.m. at the Toyota Sports Center in El Segundo, Calif., with all proceeds benefiting the U.S. Athletic Foundation. Douglas Razzano, a recipient of U.S. Athletic Foundation funding, is set to skate in this year’s performance. Now in its third year, “An Evening on Ice” strives to raise funds to support top competitive skaters who have demonstrated financial need, have a track record of success but who do not have other funding avenues available to them through the U.S. Athletic Foundation. 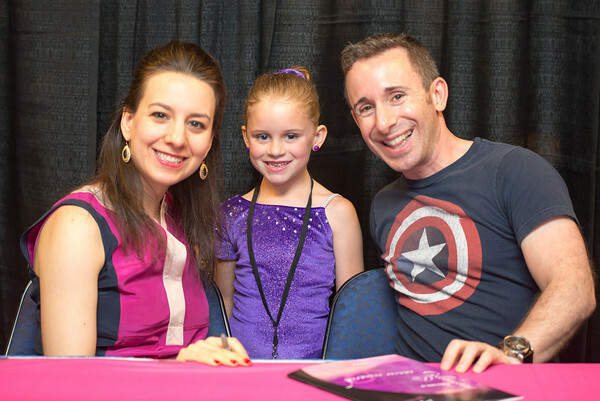 This year’s event, hosted by five-time U.S. pairs champions Tai Babilonia and Randy Gardner, will feature performances from 2006 World champion Kimmie Meissner, two-time U.S. champion Alissa Czisny, 2010 U.S. champion Rachael Flatt, 2012 U.S. champions Caydee Denney and John Coughlin, World Junior champion Joshua Farris and 2012 U.S. silver medalist Adam Rippon. Also scheduled to take the ice are 2006 U.S. bronze medalist Emily Hughes and eight-time British champion Steven Cousins, among others. The U.S. Athletic Foundation is a non-profit, donor-funded organization that offers financial management services to nationally and internationally competitive figure skaters. The foundation was envisioned by 2002 U.S. junior champion Nicholas LaRoche and his sister, Tricia. Working together, they created a training assistance fund to help promising athletes who are held back from their potential due to financial hardship. Among the beneficiaries of the fund are Czisny, two-time U.S. pairs silver medalist Mark Ladwig, Ice Challenge silver medalist Douglas Razzano and U.S. pewter medalist Courtney Hicks. Tickets range from $35 to $105 and are available at the door or online at http://www.usathleticfoundation.org/events.html. Donations to the U.S. Athletic Foundation can be made online at http://www.usathleticfoundation.org/donations.html. Sunday, October 21st| ShoWare Center | Kent, Wash.
Competition has ended at 2012 Hilton HHonors Skate America on Sunday as Team USA claimed both of the gold medals of the day in the ladies and ice dancing events from the ShoWare Center in Kent, Wash. In a battle that came down to the very end, it was two Americans, Ashley Wagner and Christina Gao, who stole the show at Skate America as Wagner earned her first ever Grand Prix Series gold medal and Gao earned her first ever Grand Prix medal of any color, silver, in the ladies event. Leading after the short program, Wagner watched her teammate earn a score that was more than eight points higher than her personal best to take the lead just two skaters previous. The pressure was on, but Wagner delivered. In a program which included six triple jumps and 11 elements that received positive marks, Wagner earned more points than she ever has in a Grand Prix Series free skate by more than 16. A 127.76-point effort in the free skate vaulted Wagner into the top spot by more than 14 points and to the gold medal with a final total of 188.37 points. Gao, whose best finish in her two previous Grand Prix events was fifth earned the silver medal after she was third in the short program. She received the second-best mark of the competition for her free skate. A full-time student at Harvard University, Gao, who has finished in fifth place at each of the last three U.S. Championships, finished second with a personal best 174.25 points overall. In second after the short program, 2011 World Junior champion Adelina Sotnikova of Russia earned 168.96 points overall to claim her third bronze medal at a Grand Prix event. American Rachael Flatt finished in ninth place with 136.09 points overall. Meryl Davis & Charlie White have done it again. With an emotional free dance to music from Notre-Dame de Paris, the Americans earned their third straight title at this event to open the season with a total score of 176.28 points. Always the perfectionists, Davis and White, while satisfied with the win in Kent, know there are improvements to be made. Russia’s Ekaterina Bobrova and Dmitri Soloviev moved up from third after the short dance to nab the silver medal, elevating their career Grand Prix medal count to five. They totaled 97.04 points for the free dance, en route to 159.95 overall. Their segment score was fractionally less than a career mark set at 2011 Cup of China. The Russians, who have skated together since 2000, made their first coaching change of their career together last spring. They credit Olympic and World medalist coach Alexander Zhulin with helping their psychological approach to competition. Fourth place finishers at the 2012 World Championships, Kaitlyn Weaver and Andrew Poje of Canada earned the bronze medal, their sixth career medal on the Grand Prix Series, with a total of 157.32 points. Americans Lynn Kriengkrairut and Logan Giulietti-Schmitt enjoyed the best Grand Prix finish of their career, placing fourth with 141.41 points, while teammates Anastasia Cannuscio and Colin McManus finished seventh in their Grand Prix debut. Free Dance – 2:40 p.m.
Anastasia Cannuscio and Colin McManus – 2:46 p.m.
Lynn Kriengkrairut and Logan Giuliettie-Schmitt – 3:16 p.m.
Meryl Davis and Charlie White – 3:40 p.m.
Rachael Flatt – 4:22 p.m.
Christina Gao – 5:24 p.m.
Ashley Wagner – 5:40 p.m.
*NBC will air live coverage of the ladies free skate while icenetwork.com will air coverage from the ice dancing event and the first group of ladies. Saturday, October 20th| ShoWare Center | Kent, Wash.
Day two at 2012 Hilton HHonors Skate America has completed with medals being awarded in both the men’s and pairs events and the short program and short dance completed in ladies and ice dancing. The entire competition will wrap up on Sunday with the ladies free skate and the free dance from the ShoWare Center in Kent, Wash. The first medals of Skate America were earned with a Japanese podium sweep at an exciting men’s event. The top spot went to Takahiko Kozuka, with teammates Yuzuru Hanyu and Tatsuki Machida finishing second and third, respectively. A downgraded quad toe as his only notable mistake, Kozuka won the free skate segment with 166.12 points and finished the event nearly eight points ahead of his competitors with a combined score of 251.44 points. The rest of the field couldn’t keep pace, including Hanyu, who led after the short program with a world-record score of 95.07 points. Hanyu placed third in the free skate, but held onto the silver medal after a 10-point lead following yesterday’s short program. He finished the event with 229.95 points. Machida settled for bronze, despite finishing second in the free skate segment. Although he fell on his quad, Machida completed eight triple jumps, including two triple Axels. Reigning U.S. champion Jeremy Abbott, Armin Mahbanoozadeh and Douglas Razzano finished fifth, seventh and ninth, respectively. Together for just their second season and their third Grand Prix Series event, reigning U.S. champions Caydee Denney and John Coughlin earned their first medal together, bronze at Skate America. Skating to music from Phantom of the Opera, Denney and Coughlin earned a positive GOE on each of their elements except one as they posted the second-best total element score of the competition. Coughlin earned bronze at Cup of China in 2010, but this was Denney’s first medal on the Grand Prix Series. The duo who trains in Colorado Springs, Colo., earned a total of 178.22 points for the event. After posting the top score in the short program, reigning World silver medalists Tatiana Volosozhar and Maxim Trankov earned the gold medal after earning the top free skate as well. They finished with 195.07 points overall. Reigning Olympic silver medalists Qing Pang and Jian Tong earned the silver medal with 185.16 points. Making her Skate America debut, Ashley Wagner, the 2012 U.S. champion is looking to pick up where she left off last season, and that is what she has done. Skating to Music from The Red Violin, Wagner earned 60.61 points to take the lead after the short program. The 2011 World Junior champion, Adelina Sotnikova of Russia, is in second place with 58.93 points while American Christina Gao landed a clean triple toe-triple toe to finish the day in third with 56.63 points. Looking to win their 10th straight gold medal on the Grand Prix Series, Meryl Davis and Charlie White took their first steps toward that goal with 71.39 points for their short dance, more than one point better than their performance at 2011 Skate America in Ontario, Calif. Behind the Americans are Canadians Kaitlyn Weaver and Andrew Poje with 65.79 points and Russians Ekaterina Bobrova and Dmitri Soloviev with 62.91 points. Americans Lynn Kriengkrairut and Logan Giulietti-Schmitt finished sixth in their lone Skate America appearance in 2010 and are in fourth place with 53.89 points, while Anastasia Cannuscio and Colin McManus, in their Grand Prix debut, are in seventh. The competition wraps up on Sunday with the ice dancing free dance beginning at 2:40 p.m. and the ladies free skate at 4:15 p.m. The ladies free skate will be aired live on NBC beginning at 4 p.m. ET. For more information on 2012 Hilton HHonors Skate America visit icenetwork.com. Day two at 2012 Hilton HHonors Skate America is under way with reigning American champions Ashley Wagner and Meryl Davis and Charlie White in first place after the first session of the day. The men and pairs events will wrap up the competition on Saturday night at the ShoWare Center in Kent, Wash.
Making her Skate America debut, Wagner, the 2012 U.S. champion, is looking to pick up where she left off last season, and that is what she has done. Skating to Music from The Red Violin, Wagner earned 60.61 points to take the lead after the short program. Looking to win their 10th straight gold medal on the Grand Prix Series, Meryl Davis and Charlie White took their first steps towards that goal with 71.39 points for their short dance, more than one point better than their performance at 2011 Skate America in Ontario, Calif.
Later today, the men and pairs will perform their free skates with Americas Jeremy Abbott and Caydee Denney and John Coughlin each seeking a medal, in third after the short program. For more information on 2012 Hilton HHonors Skate America as well as live video of the competition available for free for all registered users, visit icenetwork.com. Good morning from the ShoWare Center on a big day at Skate America. Both the men and pairs will wrap up their events while the ladies and ice dancers will get their competition under way. If you missed anything from an exciting day one at Skate America, click here to view our posts from yesterday. Rachael Flatt – 3:37 p.m.
Christina Gao – 3:44 p.m.
Ashley Wagner – 4:24 p.m.
Ice Dancing – 5:15 p.m.
Anastasia Cannuscio and Colin McManus – 5:21 p.m.
Lynn Kriengkrairut and Logan Giulietti-Schmitt – 5:28 p.m.
Meryl Davis and Charlie White – 6:08 p.m.
Douglas Razzano – 10:12 p.m.
Armin Mahbanoozadeh – 10:37 p.m.
Jeremy Abbott – 11:18 p.m.
Gretchen Donlan and Andrew Speroff – 12:17 a.m.
Marissa Castelli and Simon Shnapir – 12:34 a.m.
Caydee Denney and John Coughlin – 12:58 a.m.
Day two at 2012 Hilton HHonors Skate America is under way with American champions Ashley Wagner and Meryl Davis and Charlie White in first place. The men and pairs events will wrap up Saturday night at the ShoWare Center in Kent, Wash.
Making her Skate America debut, Wagner, the 2012 U.S. champion is looking to pick up where she left off last season, and that is what she has done. Skating to Music from The Red Violin, Wagner earned 60.61 points to take the lead after the short program. Looking to win their tenth straight gold medal on the Grand Prix Series, Meryl Davis and Charlie White took their first steps towards that goal with 71.39 points for their short dance, more than a point better than their performance at 2011 Skate America in Ontario, Calif. Behind the Americans are Canadians Kaitlyn Weaver and Andrew Poje with 65.79 points and Russians Ekaterina Bobrova and Dmitri Soloviev with 62.91 points. Americans Lynn Kriengkrairut and Logan Giulietti-Schmitt finished sixth in their lone Skate America appearance in 2010 and are in fourth place with 53.89 points while Anastasia Cannuscio and Colin McManus, in their Grand Prix debut are in seventh. Friday, October 19th| ShoWare Center | Kent, Wash. The ISU Grand Prix of Figure Skating Series is officially under way as the pairs and men each performed their short programs at 2012 Hilton HHonors Skate America at the ShoWare Center in Kent, Wash., on Friday. Yuzuru Hanyu of Japan posted a world record short program to lead the men’s event while Tatiana Volosozhar and Maxim Trankov of Russia lead in pairs. Hanyu opened his season with the best short program in the history of the IJS scoring system at an ISU event as he posted a score of 95.07 points. He opened his program with a quad toe which earned a GOE of 2.00 and was nearly flawless throughout. The reigning World bronze medalist is in prime position to earn his second career Grand Prix Series gold medal. In second place, Takahiko Kozuka of Japan earned a personal best 85.32 points with a performance that included an opening quad toe and a triple-triple combination which earned 11.41 points. Kozuka, who finished 11th at last year’s World Championships has earned a medal at each of his four Grand Prix series events in the last two years. American Jeremy Abbott is in third place with 77.71 points and was pleased with his performance overall. Abbott faltered on his opening quad toe, but landed a triple Lutz-triple toe which earned more than 11 points as well as earning the second highest score of the competition for his components. Despite a short program they admittedly had a hard time skating, Volosozhar and Trankov sit in first place going into the pairs free skate with 65.78 points. The program was highlighted by a level 4 lift which earned five points. On the flipside, they received uncharacteristic negative GOEs on their side-by-side triple Salchows and throw triple loop. Qing Pang and Jian Tong, who began their 13th Grand Prix season in Kent, are in second place with 61.96 points. The team has adjusted their training this season, down to four days a week from five or six in years past, in order to accommodate Tong’s sore knee. The duo is competing at Skate America for the first time since winning silver at the event in 2007. Americans Caydee Denney and John Coughlin earned the highest technical mark of the segment, netting 33.14 of their 60.75 points on their “tricks.” Among the highlights were their twist and throw triple flip. The team, entering their second season, appreciated skating for a hometown crowd at Skate America, a privilege they also got last year. Competition continues on Saturday with each of the four disciplines taking to the ice. The ladies begin the day with their short program at 12:30 p.m. PT while the ice dancing competition will get started shortly thereafter at 2:15 p.m. The men and pairs will each perform their free skate in the evening at 7 p.m. and 9 p.m. respectively. For tickets to the remaining sessions, visit www.2012SkateAmerica.com. The ladies took to the ice for their last official practice and the field is stacked with former Olympians and reigning national and World medalists. The American contingent consists of reigning U.S. champion Ashley Wagner, Rachael Flatt and Christina Gao who all have intriguing story-lines coming into this event. For Flatt and Gao, this season is all about balance. As noted before, Flatt at Stanford and Gao at Harvard are balancing their skating careers with going to two of the most challenging and prestigious universities in the world. Flatt is a sophomore and is going through year two of this life, while Gao is a freshman, however, both are thriving. “Skating has been pretty good, I am working hard and balancing school and skating well,” Flatt said “But it’s certainly been keeping me busy.” She added. Gao is the lone American planning a triple-triple combination, a triple toe-triple toe in her short program. The ladies will open their season on Saturday. Davis and White shared the ice with Canadians Kaitlyn Weaver and Andrew Poje, who debuted sections of their free dance set to music from The League of Extraordinary Dancers. Weaver and Poje, who came in fourth at last year’s World Championships are the only Canadian skaters to compete in Kent this week. Skate America’s Honorary Chair, 2010 Olympic silver medalist Ben Agosto, attended the practices with several of his Seattle-area students, who got the chance to watch the world’s best ice dancers take the ice in their neck of the woods. The short dance competition will commence tomorrow afternoon, following the ladies short program. What to Expect on the Blog Today? Good morning from the ShoWare Center on Friday, the opening day of the ISU Grand Prix of Figure Skating series. Tonight begins the first of six events held across the world that make up the Grand Prix circuit and it’s the pairs and men that will get the first edges in the ice. Prior to the competition, each of the four disciplines will have a final official practice and both the ice dancing and ladies will go through the media area for interviews. We will post short stories after each discipline has their practice session and a recap at the end of the day. Be sure to check icenetwork.com for more in-depth coverage including live video of the competition (Season Pass subscribers), blogs, articles, photos and more. Marissa Castelli and Simon Shnapir – 10:20 p.m.
Caydee Denney and John Coughlin – 10:41 p.m.
Armin Mahbanoozadeh – 11:49 p.m.
Jeremy Abbott – 12:35 a.m.
A cast of former and current U.S. champions and Olympians donated their time and talents for the ninth annual Skate for Hope (SFH) show, which benefits breast cancer research and awareness. Since 2004, SFH has raised more than $400,000 for the cause. This year’s event, held June 16 at the Nationwide Arena in Columbus, Ohio, featured performances by Ashley Wagner, Jeremy Abbott, Mary Beth Marley and Rockne Brubaker, Adam Rippon, Rachael Flatt, Emily Hughes, Caitlin Yankowskas and Joshua Reagan, Emily Samuelson and Todd Gilles, Alexe Gilles, Piper Gilles and Paul Poirier and Lee Harris. About 120 amateur skaters from Central Ohio joined their heroes on the ice for the inspiring evening, which featured beautiful and emotional performances honoring breast cancer survivors who were seated in the front row. Harris, Hughes and Abbott shared their common experience of their mothers being cancer survivors by participating in the Rose Dedication Ceremony with three of the younger amateur skaters. For Harris, Hughes and Abbott, the evening proved to be an emotional one for them. Hughes’ mother, Amy, is a breast cancer survivor and an advocate for breast cancer research and awareness. Abbott’s mother, Allison Scott, is a survivor of skin cancer. SFH is a not for profit 501c3 charitable organization that donates its proceeds to the Stefanie Spielman Fund at the James Cancer Center and Solove Research Institute and to the Vera Bradley Foundation for Breast Cancer Research. SFH will celebrate its 10th anniversary in June 2013, with the goal of crossing the $500,000 milestone. To support Skate for Hope, visit skateforhope.org and to follow all announcements, Please “Like” SFH on Facebook. Lee Harris and Caitlin Yankowskas offer a heartfelt moment during the show as Harris presents his mom with a yellow rose. The International Skating Union (ISU) announced today the athlete selections for the 2012 ISU Grand Prix of Figure Skating Series. The Grand Prix begins Oct. 21-23 with 2012 Hilton HHonors Skate America from Seattle/Kent, Wash. The Grand Prix Series, entering its 18th season, incorporates six international figure skating competitions as a unified point-scoring series that awards prize money to eligible skaters. At the conclusion of the series, athletes’ points are totaled, and the top six ladies, men, pairs and ice dancing teams are invited to compete at the ISU Grand Prix of Figure Skating Final. The Grand Prix Final is scheduled for Dec. 5-9, 2012, in Sochi, Russia, site of the 2014 Olympic Winter Games. The event will run concurrently with the ISU Junior Grand Prix of Figure Skating Final. Skate America will feature the four reigning U.S. champions including Ashley Wagner (ladies), Jeremy Abbott (men’s), Caydee Denney and John Coughlin (pairs) and Meryl Davis and Charlie White (ice dancing). Other notable competitors include Russia’s Alena Leonova, the 2012 World ladies silver medalist and Michal Brezina of the Czech Republic, who is the 2011 Skate America champion. Pairs team Tatiana Volosozhar and Maxim Trankov, also of Russia, are two-time reigning World silver medalists. Gracie Gold, the 2012 U.S. junior champion and World Junior silver medalist, will make her Grand Prix debut in the Series’ second event, Skate Canada. She will compete at Rostelecom Cup alongside Johnny Weir. Weir, a three-time U.S. champion and two-time Olympian, is set to return to competition for the first time since the 2010 Olympic Winter Games in Vancouver, when he takes the ice at Rostelecom Cup (Moscow) and Trophée Eric Bompard (Paris). Two newly formed American pairs teams received one assignment each with Caitlin Yankowskas and Joshua Reagan competing at Cup of China (Shanghai) and Lindsay Davis and Mark Ladwig skating at NHK Trophy (Miyagi, Japan). With the exception Davis, each skater competed on the Grand Prix Series with their previous partners. The full list of Team USA’s assignments, as well as the full international lineup for Skate America, are below (listed alphabetically). Visit www.isu.org for the full list of selections across the Grand Prix Series. 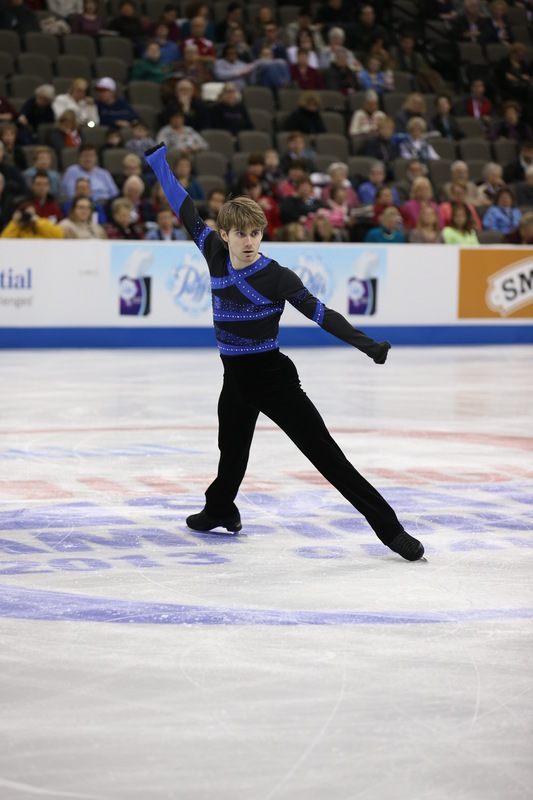 Douglas Razzano – Placed seventh at 2011 Skate America in Ontario, Calif.
Caitlin Yankowskas and Joshua Reagan – First Grand Prix assignment as a partnership. Lindsay Davis and Mark Ladwig – First Grand Prix assignment of their partnership.